This is a round Hudson Regular porcelain sign. This particular Hudson Regular sign is very colorful. 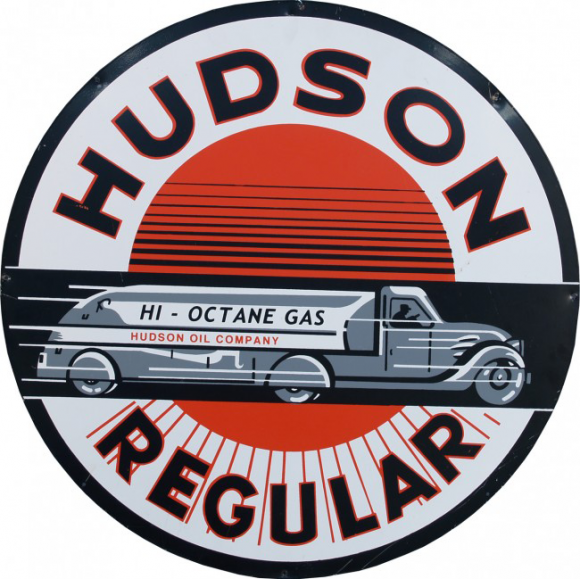 It reads, “Hudson Regular, Hi-Octane Gas, Hudson Oil Company” and features a speeding silver truck against an orange center with black and red text.